Spoiler alert! : IIS keeps history of config files! 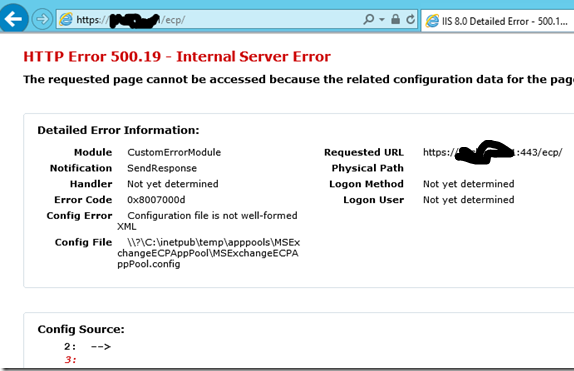 2 days ago, I helped the customer deploy their new Exchange 2013. Everything is fine then, we had OWA and ECP running. Today I was called because they decided to add new mailboxes and cant access the ECP. Opened the File and this came up. My reaction: What’s this!? Config files for aliens?! 1. Client Installed .NET Framework 3.5 and ASP.NET 3.5 thinking this is missing. 2. Client Restarted everything. Yea, the have you tried turning it on and off again. So le me, going back to the original problem: the Config file is corrupt! Good guy IIS, always create a copy of the config history under INETPUB! So I just go to that folder and under the second to the last CFG History I copied the applicationhost.config. 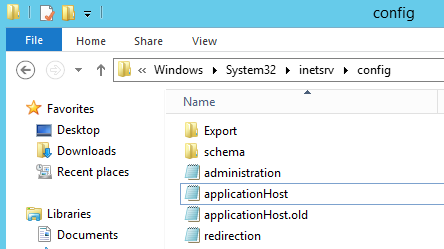 Now go to The Inetserv Config folder under System32 (as the error said and rename the applicationhost with .old so that you have a backup copy of it. 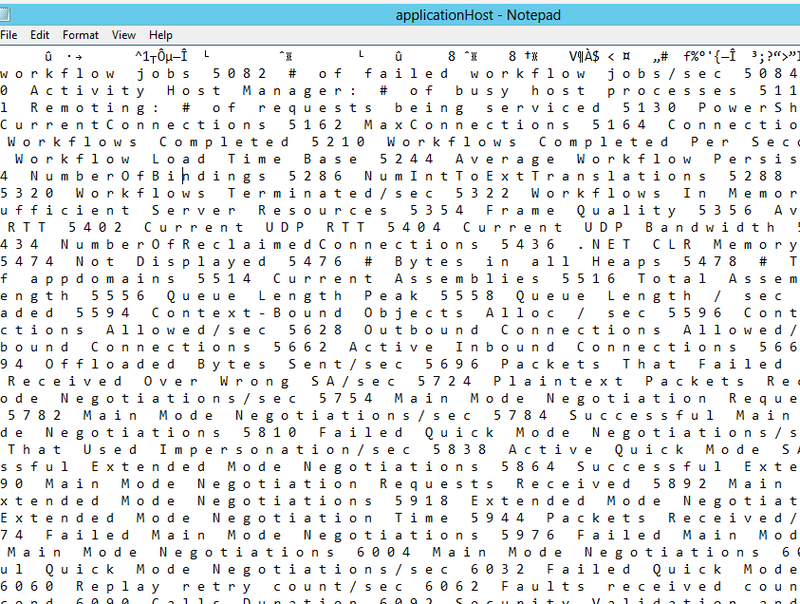 Then paste the applicationhost.config here. Back to work now and Happy deployment! John, my friend is using this same method to correct his 2013 server on a regular basis, but as of today it only fixed it for a few minutes before crashing it out again. Do you know more about what may be corrupting this config file in the first place?